If you’re thinking about opening a dispensary, you’re going to want some inside tips from industry experts. We got you covered. The idea of owning and operating a dispensary is often romanticized. In fact, it’s perceived as a relatively simple, sure-fire way to make money. But legalization’s proven the opposite to be true. Opening a dispensary is a grueling, expensive, multi-step process that’s easy to botch. 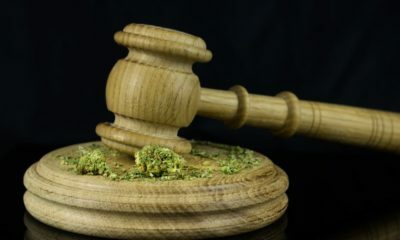 The legal hurdles of running a cannabis business are so intricate and expensive, it’s almost impossible to navigate the waters of compliance without some sort of professional guidance. The team at Cannabis Advising Partners (CAP), a Long Beach-based consulting firm, specialize in helping people navigate the legal industry without getting chewed up and spit out. The canna-laws in California can be merciless. Thankfully, they gave us some stellar tips on the do’s and don’t’s of opening a dispensary. Keep in mind that, although these tips are exceptional, they won’t suffice for professional or legal advice. They will, however, provide you with a base-understanding of what you need to do to get your dispensary going. The process of getting licensed by the state is almost as daunting as becoming a dual citizen. It takes time, money, diligence, and a lot of research. But there are things you can do that can make the process a bit less complicated. Creating an outline that functions like a to-do list (or a plan of attack) is a good place to start. It should sketch out the brush strokes of the whole process from identifying your budget to opening the dispensary. Doing this not only helps you keep track of what needs to be done, but it will also assist with developing a business plan. And a stellar business plan is the only way officials on the municipal level are going to issue you a permit to operate, which is the first step to obtaining a license from the state. Similar to creating an outline, Nathan Wofford, also a compliance specialist at CAP, believes having a vision for your business is a vital preliminary step to opening a dispensary. This vision, he explains, should be about who you are and what, specifically, your business is trying to accomplish—for the community and beyond. After identifying the budget, creating a plan, and crafting your vision, the next step is finding the real estate—arguably the most important part of the whole process. But before putting money down on a place that seems ideal, it’s imperative to find property in a “green” zone. Often, this is where people tend to lean on consulting firms or lawyers to help them—and for a good reason. Locating real estate in the proper zones is time consuming and complicated. It should be noted that anyone can find this information, though. Most 420-friendly cities have online portals on their websites that outline where the green zones are. Wofford also emphasizes the fact that even cities within the same county are likely to have different laws. So, it’s imperative to research the laws and become familiar with what you’re supposed to do. At the very least, it will help you understand the type of risk you’re taking by opening a canna-biz. The age-old adage of “location, location, location” doesn’t apply to the cannabis industry—yet. Considering most of California still prohibits cannabis, Martinez and Wofford say the mentality needs to be “where’s the opportunity” instead of being glued to a certain location. The licensing process in California is tiered. Before you can get a state license, you must first obtain a permit from your local government. So, it’s crucial to know who’s who in the city. Martinez explains that you want to know who on the council is for and against cannabis, and if there’s anyone outside of the council members–like the city clerk, for instance– who has involvement in the licensing process. Martinez recommends talking to the council about how much benefit your company is going to bring to the community and the city as a whole. The goal, he explains, is to cultivate the reputation that you’re always around and an ingrained member of the community. The best way to achieve this is through your presence. We’ve all heard of corrupt city council members who’ve taken money-offers from people wanting to open cannabis businesses. And we don’t recommend anyone do this. Because, even if it worked, it’s important to note that illicit-market behavior is not the smartest way to do business these days—especially if your city officials are scavenging for reasons to maintain prohibition. Although the cannabis world is still the Wild West in many ways, there are rules now and, thus, major consequences. Not only will your integrity be reduced to smushed bug on a windshield, there’s a chance you’ll also get exiled from the cannabis industry by state regulators. Is a bribe really worth the risk? No.